It was and still is a tough winter in Michigan and I’m sad to report the death of my last trout car. I have moved on to a 2001 Forester previously owned by Mike who offered a great bargain I couldn’t refuse. Mike is a consummate angler, wilderness explorer and used car salesman/former attorney that may be related to me depending on just how dependable the new ride turns out to be. Or not be. I am counting on a couple things here including the Subaru’s on board computer which will hopefully have an auto pilot that takes me into remote stretches of trout stream that have previously been kept secret. 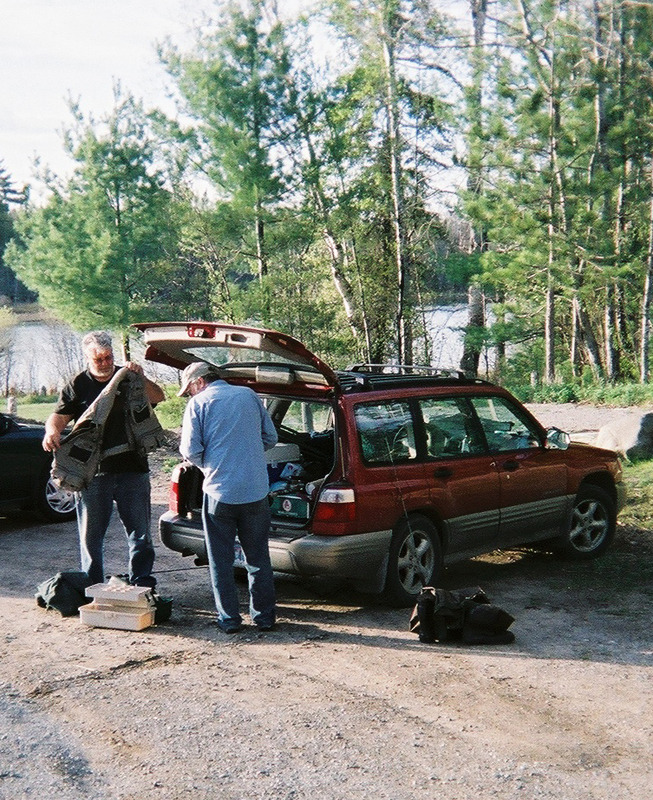 Mike and his fishing partner Denny have driven down half the two-tracks and back alleys of northern Michigan in search of virgin unmapped trout streams and have on one or two occasions actually outfished Feral and myself. If I can hack the computer that will be the end of that nonsense. Mike disclosed absolutely everything wrong with the car before handing me the keys including the small piece of black electrical tape hiding the check engine light that would otherwise be aggravating to look at. He also pointed out the annoying Door Open warning light and his theory that it may have something to do with the rear hatch, which it didn’t, but the light wasn’t cover with tape so I was forced to think about it. Using my extensive garage mechanic skills I was able to isolate the problem by opening and closing each door. It turned out to be the spring loaded passenger door switch which I fixed by pushing it in and out a couple times. Gee that felt good. Something fixed and zero dollars invested. When I got the car home I took my wife for a joy ride and was surprised when she rolled down the window in sub-zero weather. There is a burning oil smell that barely registers with me but apparently made her almost sick. I shouldn’t have been so surprised. When I come home from fishing she always greets me with a clothes pin on her nose and points anxiously at the shower so you know she is hyper-sensitive. I have vowed to figure out the oil smell even though it is a minor distraction. The car has a 5-speed manual transmission. Strange thing, if I am thinking about taking off smooth I can make the car jerk like a bucking bronco. If I am not thinking about it I become part of the machine, almost Borg like… so smooth onlookers may wonder if the car is electric. So I need to train myself to never think about the transmission. No problem. If I add up all the features on the car it may actually be the best trout car yet. It’s a station wagon so there’s room for my fishing gear. I can sit on the rear gate to put on waders. There is a roof rack for a kayak or two. There is a trailer hitch for my 61 Apache Chief camper. The car is all-wheel drive so I should be able to drive it anywhere (famous last words). And it has a 6-CD stereo so I can listen to ancient rock songs on the long drive to my favorite fishing streams. Thanks Mike!